Posted June 29, 2017 by Sue Peffer & filed under Software. 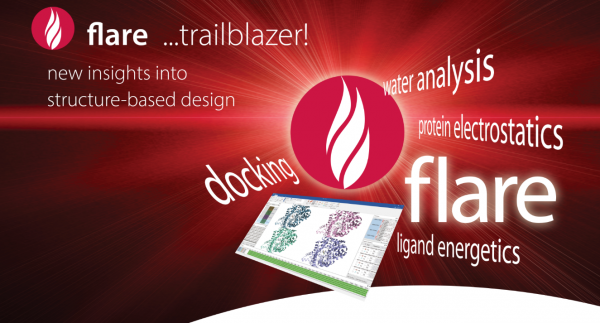 Cambridge, UK – 29 June 2017 – Cresset, innovative provider of software and contract research services for small molecule discovery and design, announces the release of Flare, an intuitive desktop application that provides outstanding new methods for understanding protein-ligand systems. Flare enhances Cresset’s existing excellent product range focused on ligand-based design, and becomes their first product explicitly designed to support structure-based design. Calculate the location andstability of water molecules in a protein to guide compound design. Simple yet powerful selection capabilities and cutting-edge display options producing highly insightful molecular graphics. Flare can be evaluated free of charge.